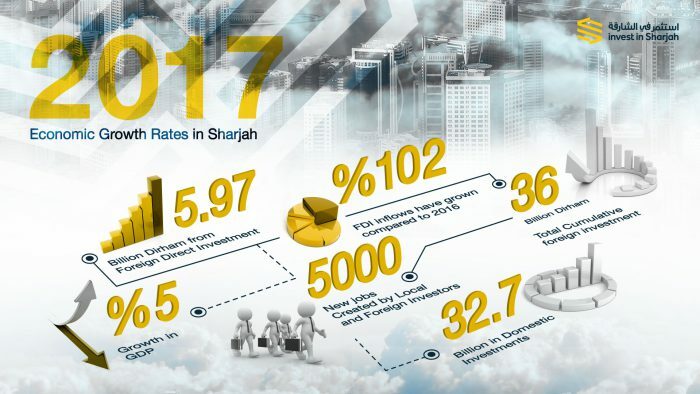 Sharjah FDI Office (Invest in Sharjah), the investment promotion arm of the Sharjah government has unveiled that the emirate’s performance in attracting foreign direct investment (FDI) in various economic sectors has seen a sharp increase of 102 percent between 2016 and 2017, with FDI inflows worth USD 1.622 billion (AED 5.97 billion) last year as compared to USD 808 million (AED 920 million) in 2016. 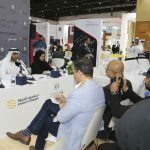 One of the key benefits of the process of these enlarged foreign investments has been felt by the job market in Sharjah, which has reported a 174 percent growth in 2017 with the creation of 2,815 new jobs as compared to 1,025 in 2016. More than 5,000 jobs were created in 2017 from all investments that came into Sharjah, including local, regional and international businesses. 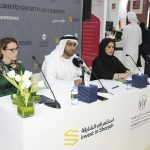 These announcements were made by the Invest in Sharjah CEO, Mohammed Juma’a Al Musharrkh, at a press conference organised yesterday (April 10), in cooperation with the Sharjah Economic Development Department and under the presence of Mary Hebert, Senior Vice President of WAVETEQ North America, as part of their participation at the Annual Investment Meeting (AIM 2018), which concludes today (Wednesday) at the Dubai World Trade Centre. 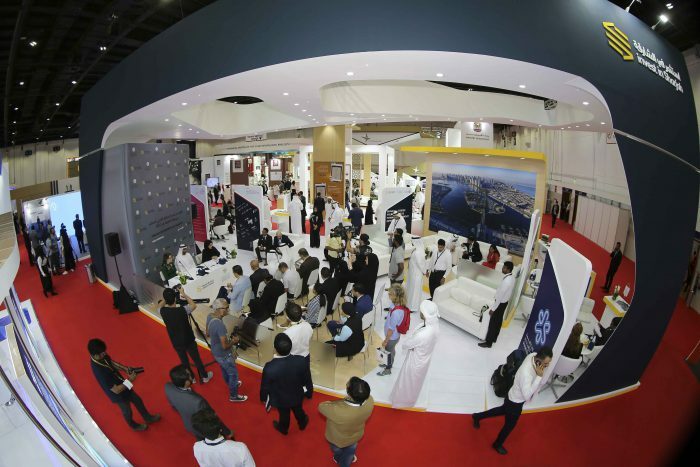 Invest in Sharjah, along with five other state-run entities in the emirate brought the forum’s exhibitors and global participants up to speed about their individual growth trajectories in 2017, offering key market insights into new and emerging business opportunities. 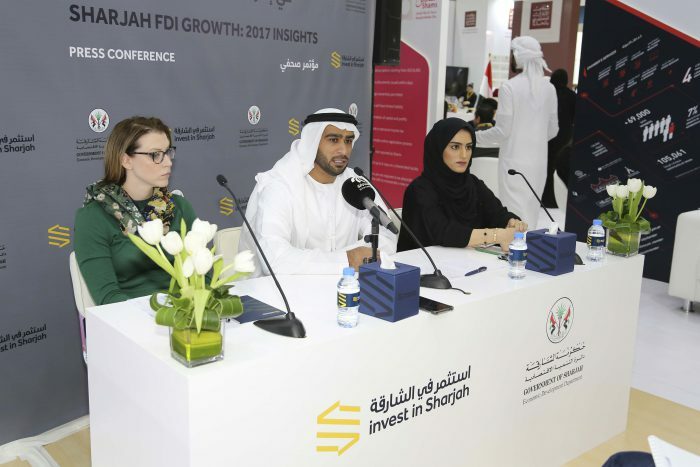 The Invest in Sharjah CEO revealed that the 2017 capital investments were made by 18 new projects that were set up in diverse sectors with the top three being architectural metal manufacturing investing USD 725 million (approx. AED 2.7 billion); agricultural, construction and mining machinery with USD 356 million (approx. AED 1.3 billion); and real estate FDI standing at USD 344 million (approx. AED 1.26 billion). Invest in Sharjah identified top international investors in the emirate in 2017 as India, UK, USA, China, and Saudi Arabia and reported that a total of USD 10.5 billion (approx. AED 39 billion) was invested in different businesses last year, in a total of 35 new ventures characterised by domestic projects from the other emirates in the UAE and FDIs. The UAE Federal Competitiveness Authority has revealed that as of December 2016, the total FDI stocks in Sharjah stood at AED 30 billion. 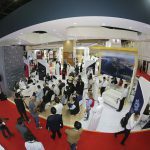 This reflects the growing investments Sharjah has been servicing across numerous sectors, most prominently its real-estate and property sector, which has been receiving high-level interests contributing to the emirate’s competitive advantage when it comes to residential and commercial projects. High-level projects which are undergoing sales opportunities include the Azure Beach Resort project in Maryam Island, developed by Eagle Hills Sharjah Development, Al Jada by Arada, Al Mamsha by Alef Group, Tilal City by Tilal Properties and the Sharjah Waterfront City by the Sharjah Oasis Real Estate Development company. During the press conference, the Sharjah Economic Development Department affirmed that Sharjah has been undergoing a sustainable year on year growth, thanks to its strategic business environment attracting large scale investments across numerous sectors. 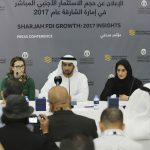 Mariam Nasser Al Suwaidi, Deputy Director of the Department of Industrial Affairs, highlighted during the conference that in 2017, Sharjah underwent a 5% increase in its GDP, with key manufacturing industries such as construction, wholesale and retail, restaurants and hotels, real estate, and business services ranging between 6 and 9% in net growth. 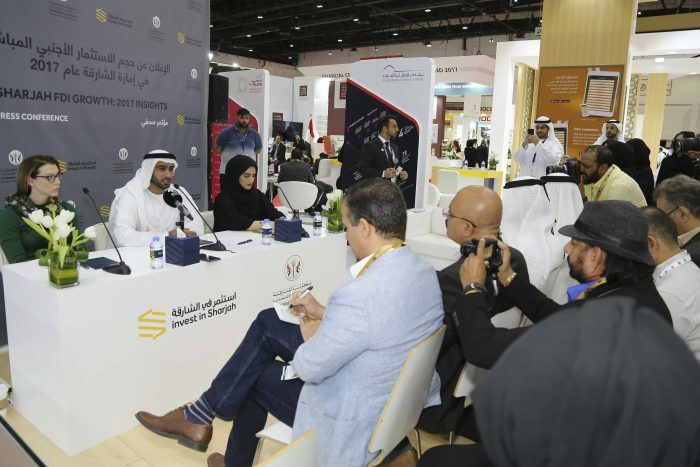 Al Suwaidi continued by unveiling that a total of 73,000 trade licenses were issued in Sharjah during 2017, with an average growth of 2% in comparison to that volume in 2016, as well as a growth of 27% in total number of industrial licenses issued. 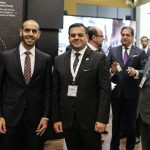 A delegation of six sate-run and private sector authorities in Sharjah, namely, Sharjah Chamber Commerce and Industries (SCCI); Sharjah Economic Development Department (SEDD); the emirate’s media freezone, Sharjah Media City (SHAMS); Sharjah Research Technology and Innovation Park; by Invest in Sharjah; and Sharjah Environment Company (Bee’ah), is at AIM 2018, where they are utilising the AIM platform to take a closer look at latest location developments, market projections, FDI trends, and investment promotion strategies being applied by global businesses. The value of foreign investments in the UAE exceeded AED 1 trillion for the first time, reaching AED 1.049 trillion at the end of 2016 compared to AED 836.49 billion in 2015, a growth of 25.4 percent. 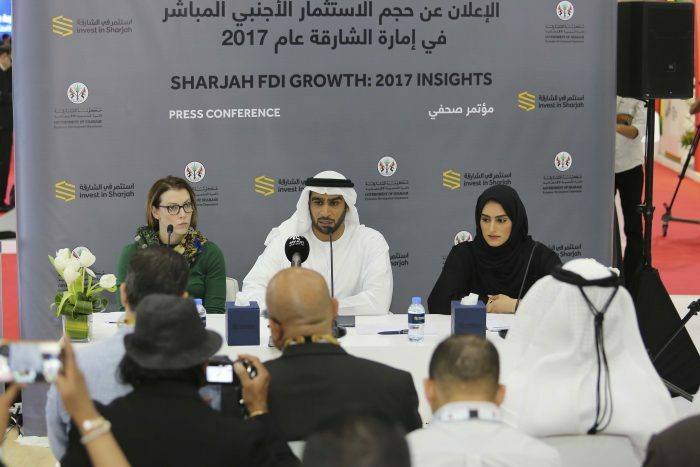 The figures announced by the Federal Authority exceed the objectives of the UAE Vision 2021, which aims to achieve an annual growth of 5 percent in domestic FDI flows and is in line with the nation’s efforts to achieve 5 percent annual growth in non-oil GDP. 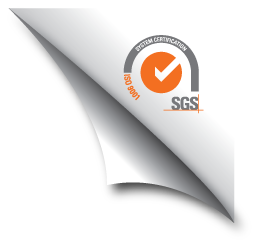 UAE Vision 2021 seeks to be one of the top 10 countries in the Global Innovation Index, the Global Entrepreneurship and Development Index, and increase the contribution of SMEs to the country's GDP by 70 percent. The eighth edition of the Annual Investment Meeting will have the theme “Linking Developed and Emerging Markets through FDI: Partnerships for Inclusive Growth & Sustainable Development”. AIM 2017 Conference gathered more than 100 influential FDI thinkers and renowned experts offering participants the latest investment intelligence, trends and updates on International Investment as a Path to Competitiveness and Development – the theme of the event.